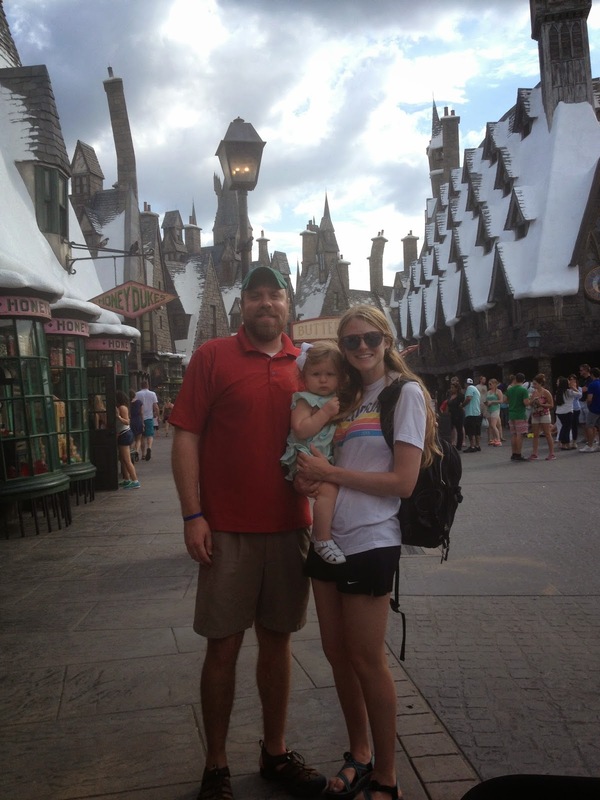 We went to Universal with some students… all the way back in the beginning of May. And I have been meaning to write this post since then, better late than never I guess. 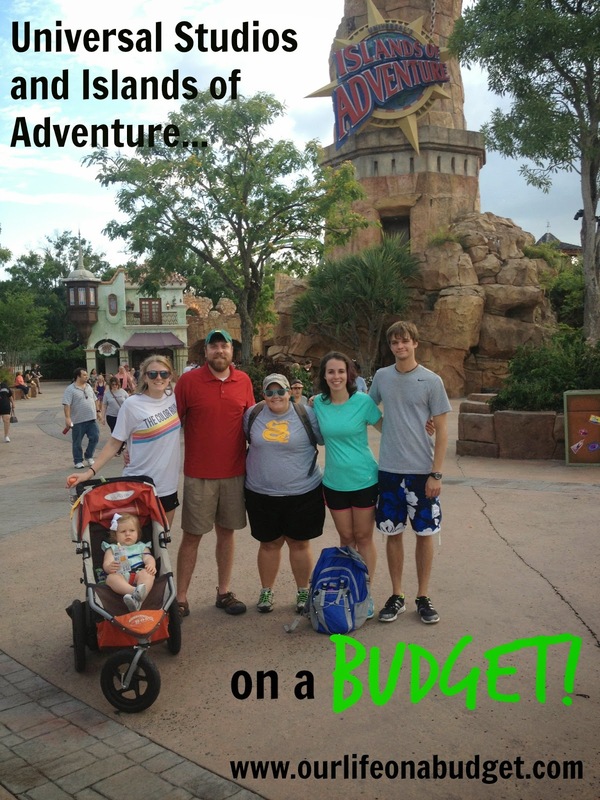 As I said when I talk about going to Disney on a Budget… we are more into experiences these days than things. We love to make the memories and we already have enough stuff. *Unlike Disney, there are deals to be had when it comes to Universal. Mousesavers has some good deals. Sometimes you can do tours of time shares and such as well to get a deal. *Like Disney the more days you get the better the deal. *Also unlike Disney, I think hopper passes are worth it when it comes to Universal Studios and the Islands of Adventures. The parks are much closer together than those at Disney so moving back and forth is much quicker (also I believe the attraction that moves between the parks is now open). I would even venture to say if the crowd level is not too high you can do most of the attractions in both parks in one day. *Universal also has a downtown area that you have to walk through to get to the parks. It is something to do but not necessary, especially if you are trying not to spend too much money. *Stroller AND baby wearer- BD napped/ slept in both. I love my Ergo :) *Snacks/meals as mentioned above. *Diaper supplies were packed into a book bag with the rest of our snacks and things. We did use Honest Company disposables instead of cloth for the day and I survived :). *A change of clothes and a bathing suite for the little, they have great water ride/attractions in both parks. *Water bottle. *Snacks- sandwiches, granola bars, apples and the like. *Camera/phone… pictures are a must! 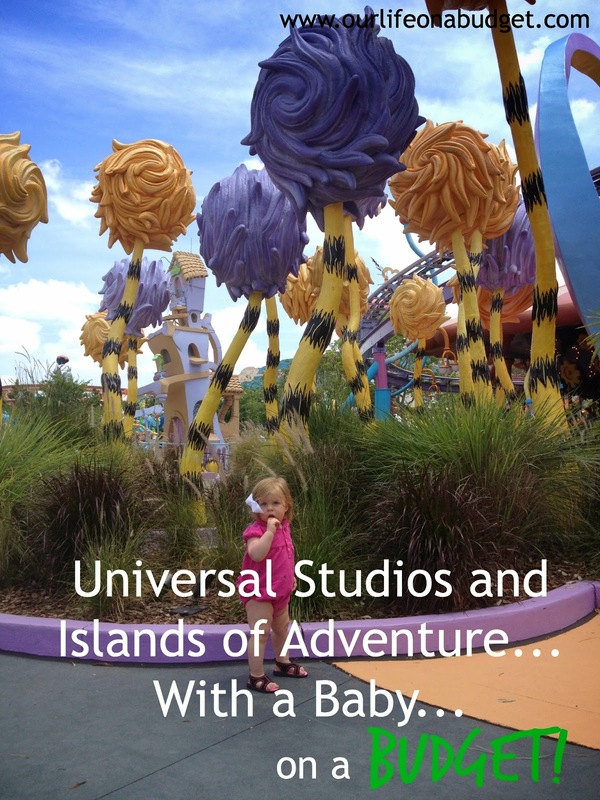 *My first comment here is child swap at Universal is much better than switching off at Disney. At Disney one person (or part of the group) has to wait in line by themselves, while the other person (or part of the group) has to sit and wait outside of the ride's entrance. You get a little ticket that allows you that allows the other part of your group to go to the front of the line later. This is especially unfortunate if you only have two people with a baby- you are separated for the wait time and the ride. Universal's works differently depending on the ride. Most of the rides with carried BD through the line with us. This was great because for one our group got to stay together and two BD got to experience the line which can be very detailed and fun part of the ride! When we got to the front, one person (or part of the group) stayed with the baby and all of our stuff in an air conditioned child swap room. Not only was the room air-conditioned, but it often had a changing table and a water fountain! And when the first group has gone one the ride, only one person has to switch so some in your party may actually get to ride twice! 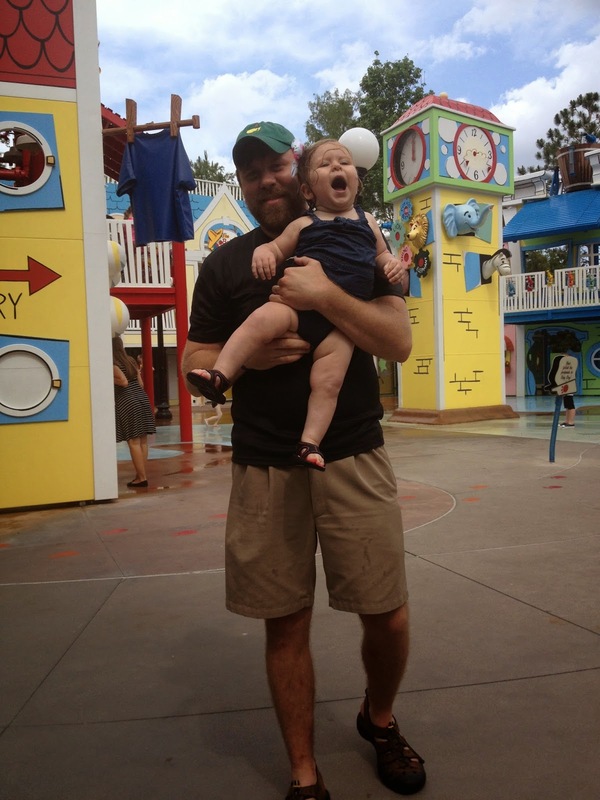 There are a couple of places that the baby is not allowed through the line, like The Incredible Hulk. But you still get to sit in the air conditioned room! 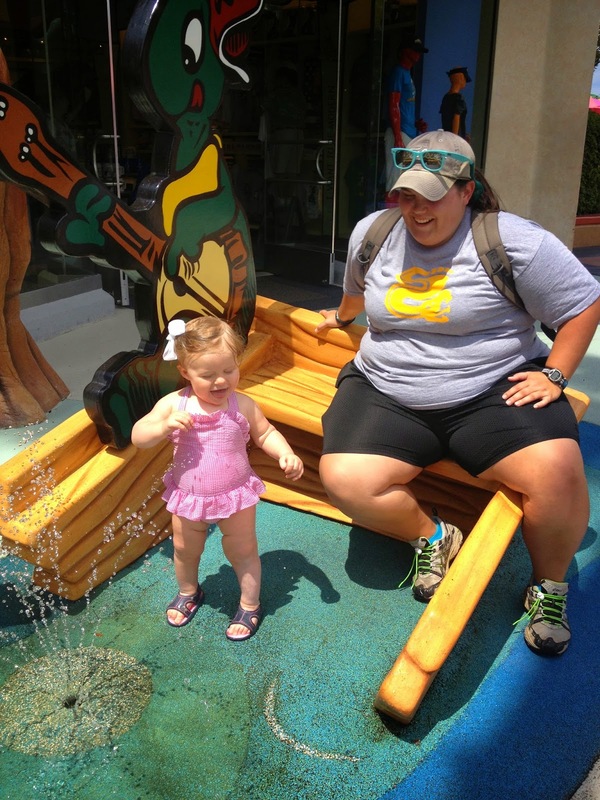 : *Most people deem these parks more grown up, especially compared to Magic Kingdom. But there are still a few kids rides and play areas. Our favorites were the Curious George Goes to Town and Fievel's Playland. To be honest though, we did not plan our day around the kids rides. We knew at Bd's age she would just enjoy seeing the sights. *At Universal there is not a free fast pass program like at Disney. They have Universal Express Passes which are just too steep in my opinion. Extra $40 on a regular ticket, each day… no thank you! If you plan out your rides right you should not have to wait too long, at least not until later in the day! *Universal Studios order: 1. Hollywood Rip Ride Rockit 2. 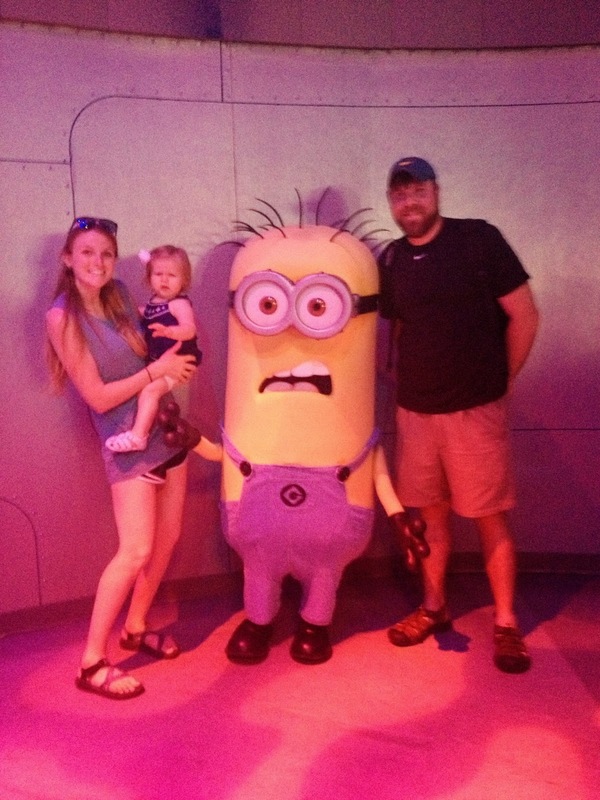 Despicable Me Minion Mayhem (This may seem silly to start with, but I promise the line gets so long!) 3. Mummy the Ride 4. Transformers the Ride 5. And so on… we did not plan this trip as thoroughly as we did in the past because we went when the parks were pretty empty. If you are going during a busy time and you want thorough pointers about attraction order I recommend signing up for touring plans! They have fanatics touring plans that work especially well to minimize wait time on busy days! *Island's of Adventure order: 1. Everything Harry Potter world. Seriously the lines get so long there. But only go there first if you get there when the park first open! 2. The Incredible Hulk 3. Then work your way back We like saving water rides for the afternoon. They have great water rides! *As usual, most rides dump you in some sort of gift shop... just avoid buying things. They are just overpriced and not necessary. *While it would be nice to stay on the property, we always recommend Priceline. We always find great deals. *Just be prepared to pay $17 to park each day. Y'all have any other tips? Hey Stasia- visiting from MADM. Thank you so much for writing this. We have two kids, 6 and 7 months, and we have talked about Disney for a while now. It's great to get an inside look at the ins and outs of getting a good deal at these parks. Thanks so much again. I can't wait to read more. Thanks for stopping by. It is completely doable and fun even with really young ones! We did Disney for a day when our little was about 10 months old! Saying hi from MADM. Loved this and enjoyed looking at all your pics! 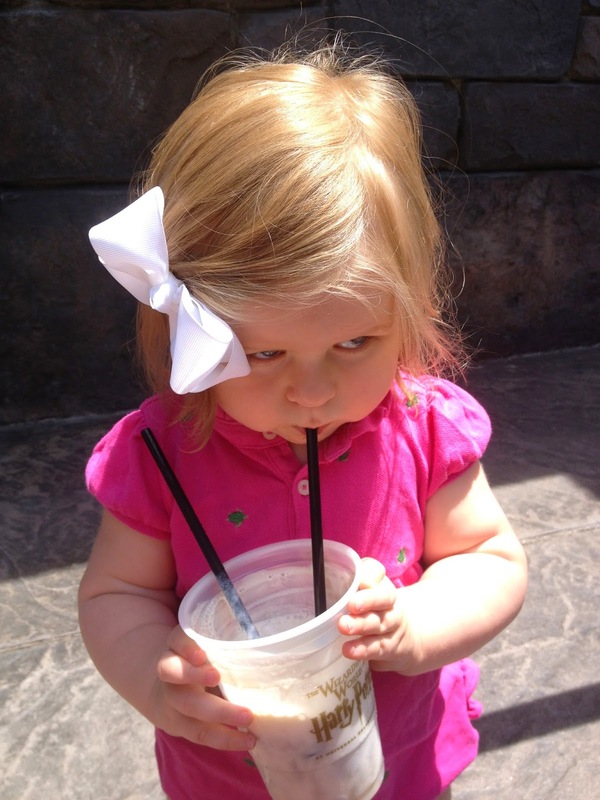 Can't wait till our kids are old enough to take to theme parks—so many fun memories to be had! They are… and I have found even at young ages they enjoy it even if they don't remember it. But they also enjoy less expensive things like parks and zoos… so it is a balance! I feel like people either know all about Harry Potter… or nothing. It is fun either way though! Wow, what wonderful tips and suggestions. I've never been to Universal Studios but I definitely want to go sometime. With my daughter's anaphylaxis dairy allergy we almost ALWAYS have to bring food to places with us. However, I've never run into issues with it.